Fans of The Inbetweeners probably won’t recognise one of the show’s breakout stars in his latest TV role. 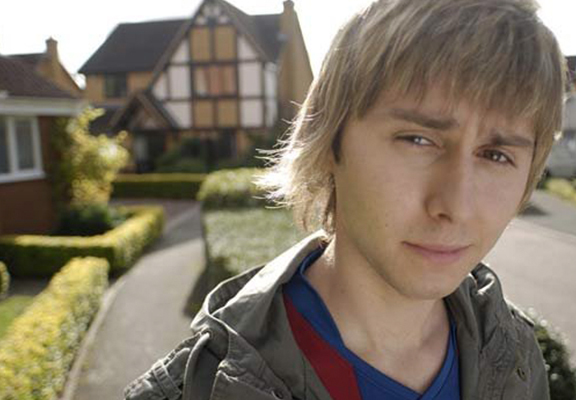 That’s because James Buckley, who played Jay on the iconic sitcom, is gearing up to play an android in the new series of Red Dwarf. Buckley has been turned into an android resembling Kryten, the fan favourite Series 4000 robot. The 30-year-old (what?!) 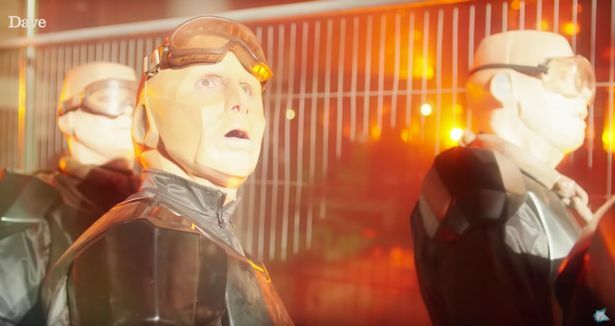 features in an episode in the upcoming season 12 on comedy channel Dave, where all of the main characters are dressed up to look like Kryten. James reportedly had no idea he would be transformed so much for the role until the day before he started filming. He sat down with the crew to chat about the new series. The way it was pitched to me was ‘You’ll be an alien or something. No one will recognise you’. Then the day before I did a make-up test and they put the Kryten android stuff on me. I sh*t myself. That’s pretty understandable, I mean I wouldn’t have recognised him in the episode if it hadn’t been pointed out to me that he was appearing. 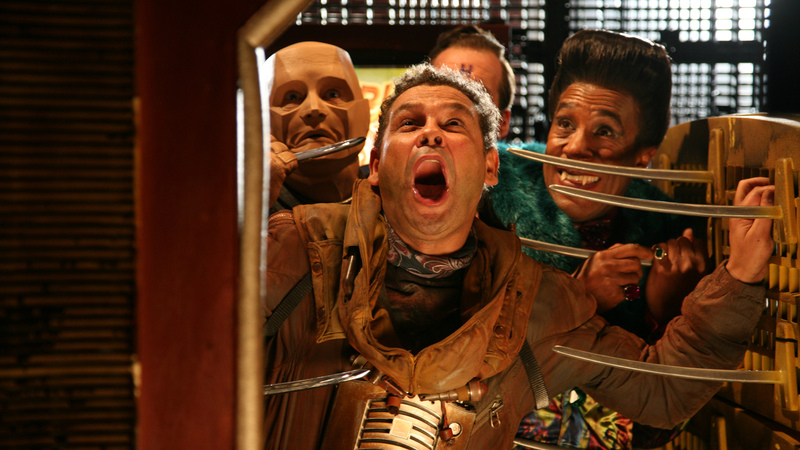 Craig Charles, who plays Lister in the space caper show, asked James if he had fun filming the little cameo. Thankfully, early reviews for the show are in – admittedly from Craig Charles – who says that James is ‘quite funny’. 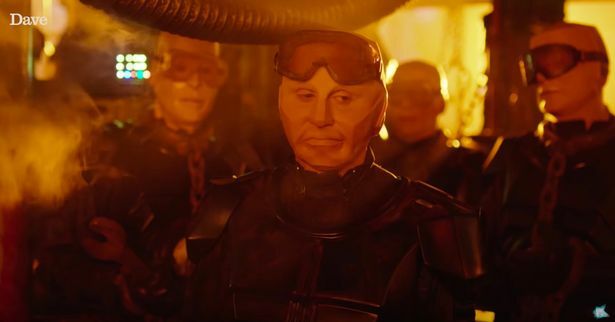 James Buckley isn’t the only celebrity to guest star in the latest season of Red Dwarf, with fellow comedian Johnny Vegas set to join in the fun. 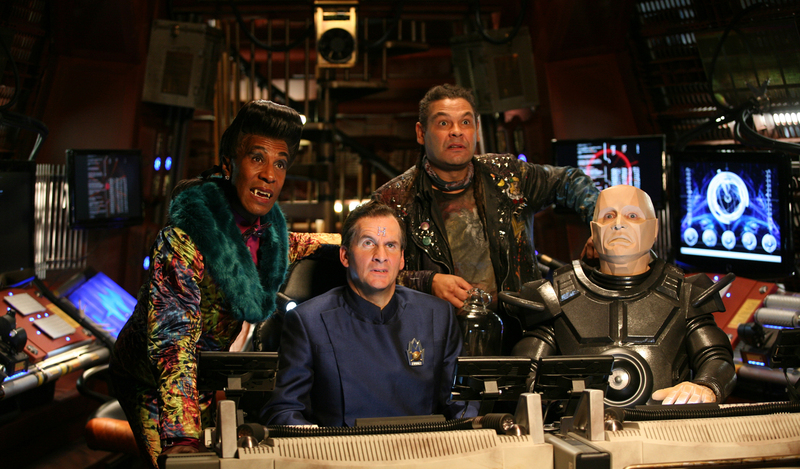 The original central cast of Craig Charles, Chris Barrie, Danny John Jules and Robert Llewellyn are all returning for their intergalactic misadventures. For those who don’t know, Red Dwarf is a British sci-fi comedy which began on BBC Two in 1988. Red Dwarf has garnered a massive cult following, and 10 full series and another miniseries all gained favourable reviews. The show was created by Rob Grant and Doug Naylor, and has resulted in a spin-off of multiple novels, radio adaptations and even an attempt at an American version of the show. The show won an International Emmy Award in the Popular Arts category in 1994, for the episode Gunmen of the Apocalypse. When the show moved to Dave, it consistently received massive ratings for the channel, as well as critical acclaim. Very little is currently known about the latest series, which will start this week on Dave. 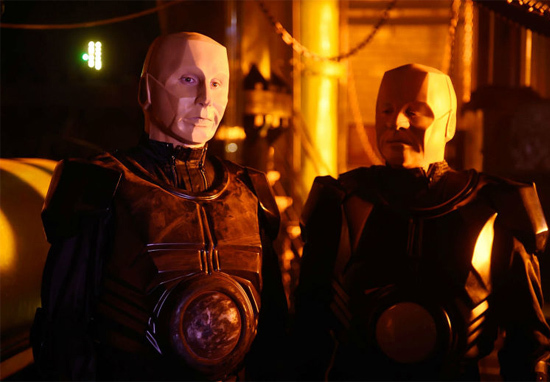 For the very first time, the rest of the crew discover just how it feels to be Kryten when they’re arrested by the Mechanoid Intergalactic Liberation Front. The Dwarfers come across a ship where criticism is illegal, and another where the crew have developed a cure for evil. 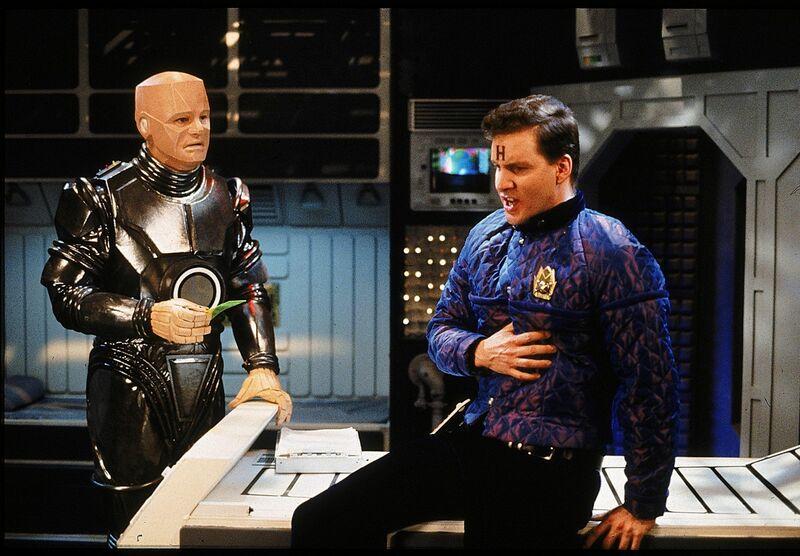 The Cat struggles to choose between Kryten or Rimmer when the ship’s machines revolt, while Lister discovers a simple update of the Red Dwarf’s latest software could be a matter of life or death. Finally, Rimmer decides to leave this universe in search of a parallel one where hopefully he isn’t such a massive loser. The episode titles, in order, are ‘Cured’, Siliconia’, ‘Timewave’, ‘Mechocracy’, ‘M-Corp’, and ‘Skipper’. Red Dwarf XII will air on Dave from October 12.